The truth is, the Egyptian military is far from being a well-oiled business machine. General Abdel Fattah el-Sisi must be revelling in the image of an all-powerful oligarch created by the media. Apparently he reigns over a sprawling economic empire that journalists describe (in now rather cliched terms) as so varied that it covers everything from the production of flat-screen televisions and pasta to refrigerators and cards. It’s claimed that the army has control over as much as 40% of the Egyptian economy. It owns football grounds and restaurants and provides services such as managing petrol stations. Some even estimate the military control as much as 80% of manufacturing alone. But then again, that estimate came from FOX News, not the most reliable of sources. The truth is, the Egyptian military is far from being a well-oiled business machine. In fact, historically, the army have been very bad at making money and its own failures have led it to seek other forms of income. Why else would an army diversify its interests so considerably? "In the coming years, Egypt’s military production sector will probably decline. Egypt suffers from low productivity, a lack of adequate funding and a dearth of external markets. Egypt’s largest customer during the 1980s, Iraq, has been removed from the market place as a result of UN sanctions imposed against Iraq for its invasion of Kuwait. Egyptian military products also face increased competition. The cash-strapped Russians are offering highly advanced weapons at bargain prices. Egypt’s military industries have not promoted import substitution or sustained export earnings. The technological benefit of the armed forces’ military industrial endeavors have proven to be only marginal to Egypt’s economic developments. While Egypt does assemble sophisticated military weapons systems, the facilities to do so are provided by Western businesses on a “turn key” basis. The Egyptians receive kits for assembly, but the technology involved is closely maintained by the Western partner. Hence, little technology that would allow independent Egyptian development of systems has been received. For Egypt, technology is a conundrum — high technology industrial efforts are a capital intensive endeavor; Egypt has a labor intensive economy with little capital. Finally, it would appear that Egypt’s military industries have done little to enhance its regional power." In other words, Egypt’s army failed miserably at the one thing they should have been doing well – military production. The piece goes onto explain how “self-sufficiency would permit a greater measure of Egyptian independence in security matters and should allow the Egyptian military to fight longer without foreign resupply.” Now the refrigerator production and petrol station management makes sense. The army, if anything, is simply trying to keep its head above water. Contrary to popular belief, General Sisi and his partners do not have a powerful grip on the economy, nor are they savvy businessmen out to expand a flourishing empire. They are interested mostly in protecting the economic interests that allow them to be self-sufficient and not reliant on foreign partners. 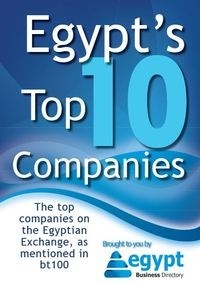 It’s a lazy approach to their business and part of the reason why we have seen the army interfere in the transition so much – to manoeuvre Egypt, as much as possible, out of economic decline and shield its factories and production lines. But still, the military plays no significant role in any of the major Egyptian industries today – oil and gas, steel and cement. The businesses that the military does play a role in would certainly not give them control of over 40% of the economy. That figure has never really been verified or proven, with only a few rare instances when the military did reveal how much money they make. At one point just before the January 25th revolution, Businessweek ran an interview with the then minister of military production, Sayed Meshaal, saying the army made about $345 million in revenue from the private sector, a far cry from the billions of dollars they are claimed to generate. What’s more, the army’s “economic strategy” is riddled with corrupt practices. Mr Meshaal, who served as the minister of military production till 2011, is now being investigated for awarding contracts “above cost”. In another example of dodgy money management, millions of dollars of profits from military industry exports during the 1980s and 1990s were reportedly returned to the military coffers with no government accounting or taxes (i.e. “off-budget”). The military are far from being shrewd businessmen. Instead, because of a track record of losing contracts, bad ties to regional powers and dodgy accountancy, the army are relying on selling bottled water and other domestic goods to survive. Plus, the military’s role in the economy actually stifles free market reform by increasing direct government involvement in the markets. General Sisi has said nothing about the army’s economic prerogative but we can already deduce what the military is interested in: remaining conservative, keeping policy simple without innovation or anything too radical (such as cutting those precious energy subsidies that the army rely on so much to run their factories at a cut price) and focusing on big, state-run projects (just like Mubarak). With no real systemic changes being offered, the army has missed an opportunity to save the economy and much to their demise, protect their own economic interests. Farah Halime is the editor of Rebel Economy, a blog focused on how Middle East economies are rebuilding after the Arab Spring.